The Brooklyn Army Terminal’s Building B stretches toward the horizon. Let me be the first to point out that the Brooklyn Army Terminal is far from abandoned. 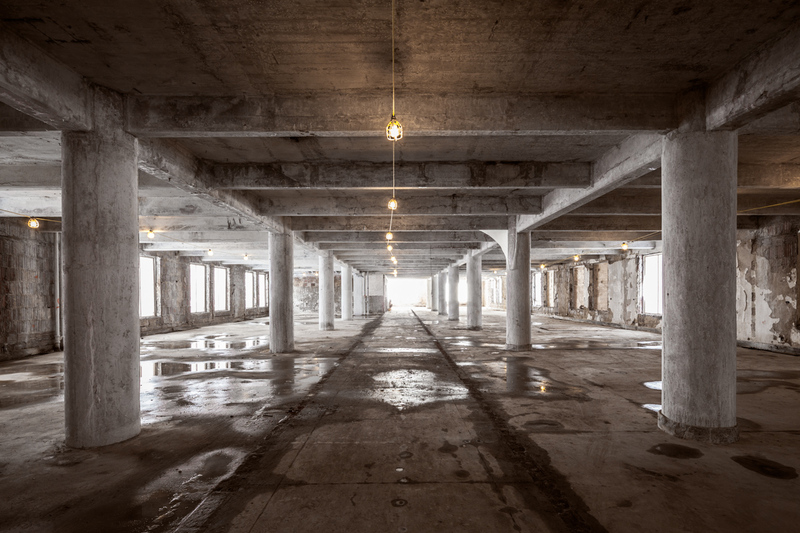 It’s actually one of the most vibrant hubs of industry remaining on a Brooklyn waterfront that was once dominated by factories, warehouses, and refineries, many of which have fallen into decay or been renovated into luxury condos. 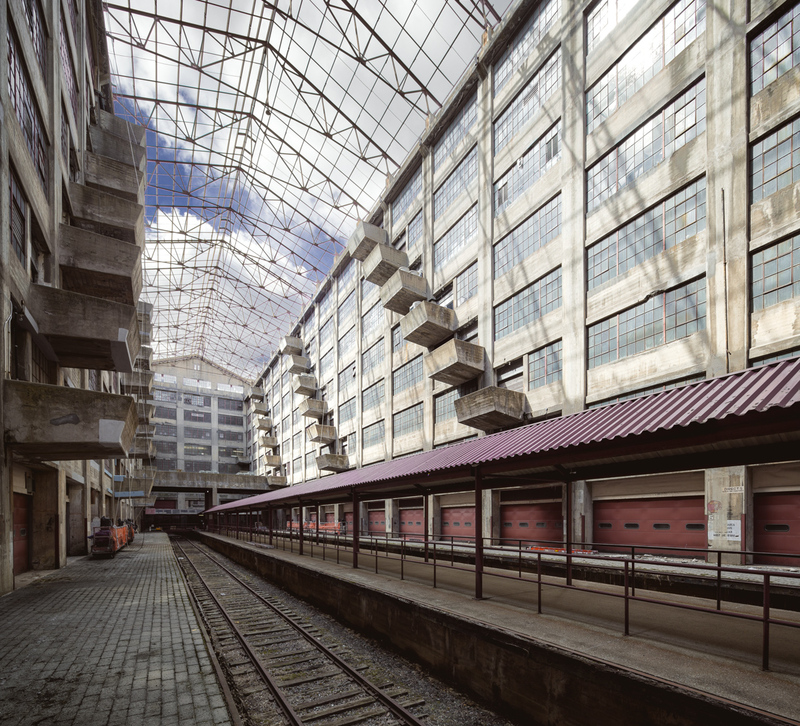 Along with the Brooklyn Navy Yard, the neighboring Bush Terminal, and nearby Industry City, the Army Terminal is proving every day that industry can not only survive, but thrive, on the Brooklyn waterfront. I’m often asked why abandoned buildings in New York aren’t just turned into housing for the homeless, offered up to local artists, or repurposed as museums, and the truth is it’s never, ever that simple. 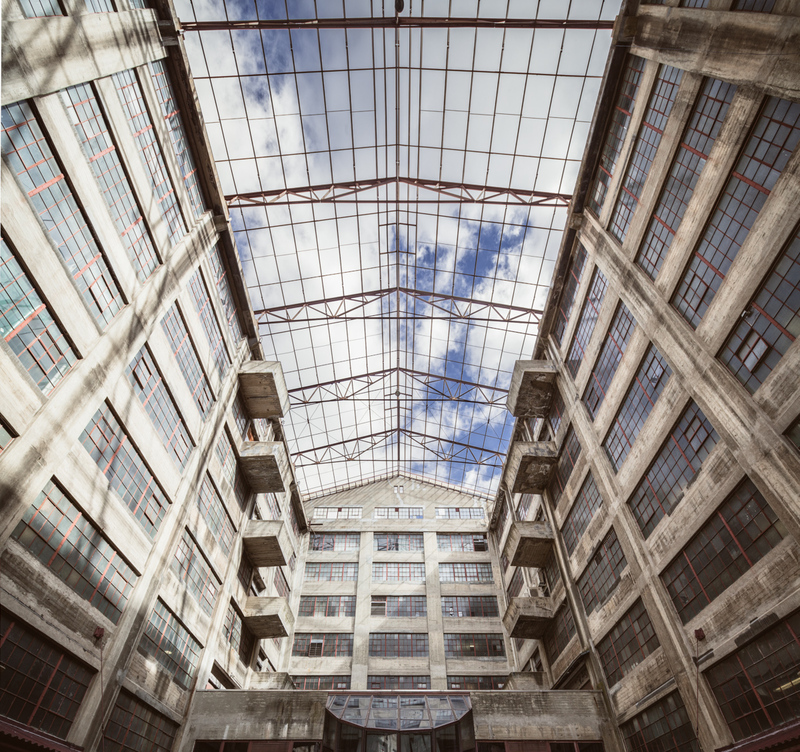 But here’s an example of a historic building that has been painstakingly brought back from the brink of decay–over a period of 35 years with $150 million in public and private investment–to become a viable source of job creation. 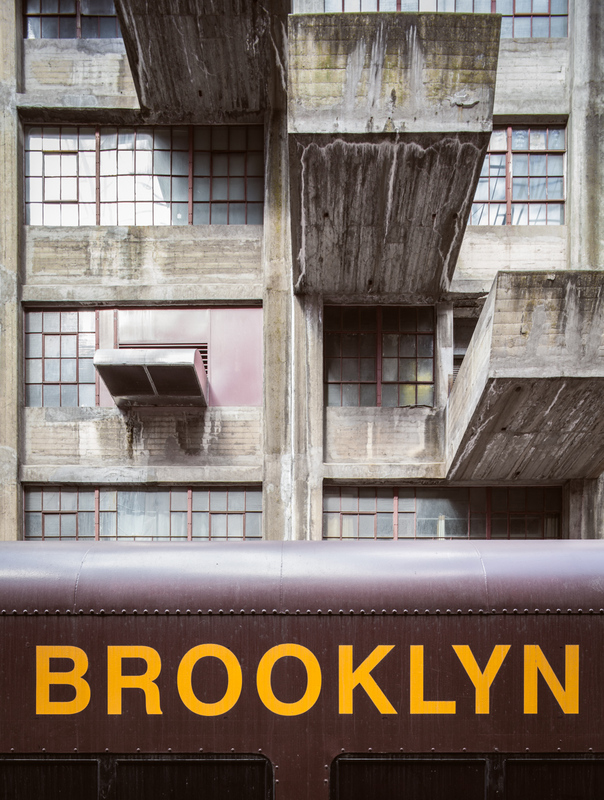 Luckily, the Brooklyn Army Terminal has managed to retain a palpable connection to its history, and in some areas, a pleasing patina of decay in keeping with its old age. At almost 100 acres, the property covers the length of several city blocks. The Terminal was the largest concrete building in the world at the time it was built. Overall, the structure reflects the austerity and efficiency one might expect given its military origins, and sure enough, nearly every architectural embellishment turns out to serve a practical purpose. Seemingly decorative studs lining the top of the facade actually function as a simple but effective drainage system for the roof. It’s a testament to the genius of its architect that such a utilitarian building can attain such elegance. The designer, Cass Gilbert, is best known for masterminding some of New York’s most beautiful and ornate structures, like the iconic Woolworth Building or the majestic Customs House, not to mention the U.S. Supreme Court in Washington, DC. 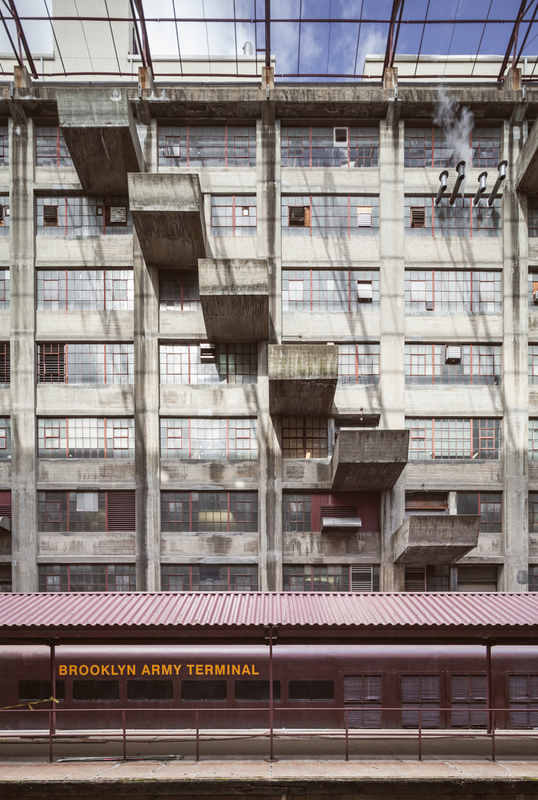 The construction of the Brooklyn Army Terminal began in 1918 under the direction of the federal government, with the goal of establishing a more efficient means of dispatching supplies and personnel to military fronts around the world. The four million sq ft complex of warehouses, offices, piers, and railroads was built over a period of only 17 months. Though the First World War had ended by the time the structure was completed, the Terminal proved indispensable during WWII, employing over 20,000 military personnel and civilians. It acted as the headquarters of the New York Port of Embarkation, which collectively moved 3.2 million troops and 37 million tons of supplies to army outposts around the globe during the war. Hundreds of thousands of men passed through the terminal on their way to serve overseas, arriving by trains that dropped them off a few paces from the ramps of outgoing ships. The most famous visitor was Elvis Presley, who stayed longer than most, holding a press conference in front of a crowd of photographers, reporters, and fans before embarking on an 18 month tour of Germany in 1958. He had been drafted the previous year. Restoration is progressing on a previously abandoned admin building. 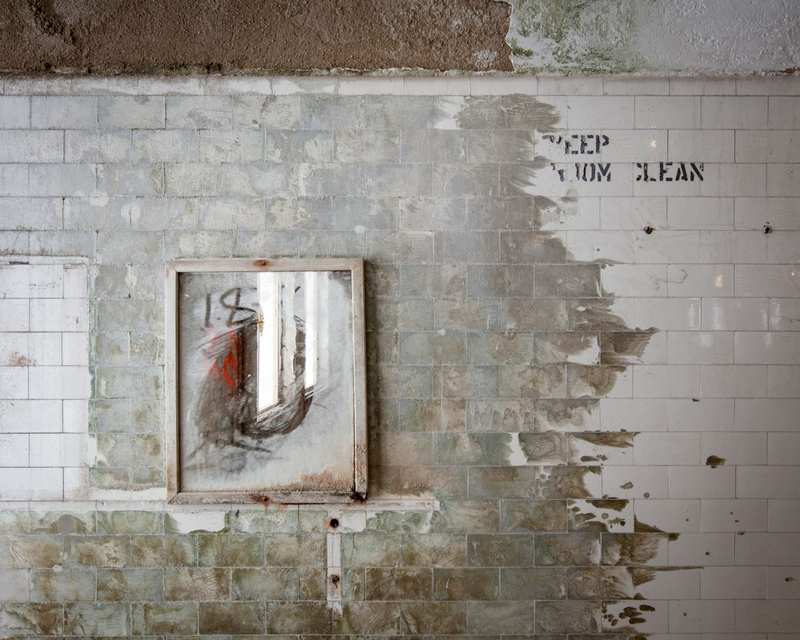 A bathroom mirror and friendly reminder left behind in the gutted interior. Utility room on the roof of the annex. The Terminal’s design was easily adapted to a variety of uses in peace time. During prohibition, it warehoused confiscated liquor from NYC speakeasies, and after the facility was decommissioned in 1966, the USPS moved operations into the ground floor following a fire in a prominent Manhattan branch. 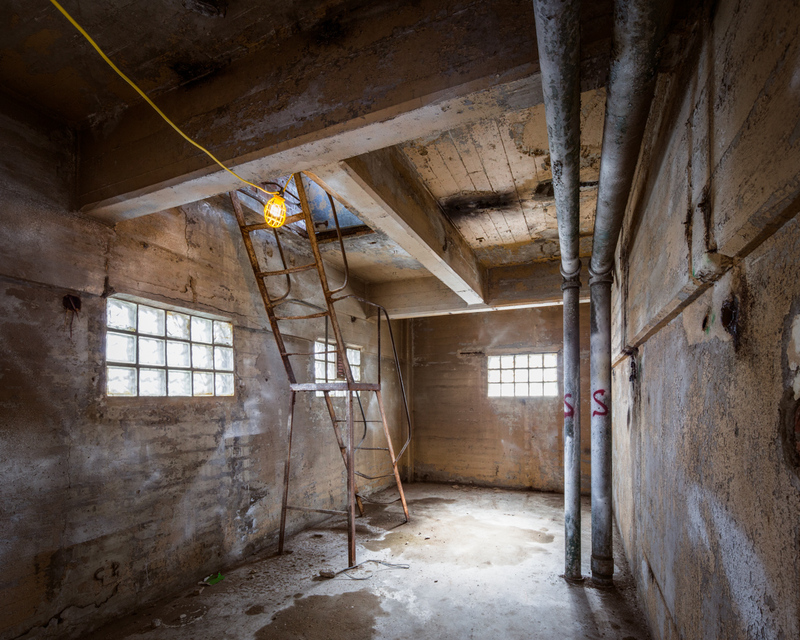 But through much of the 60s and 70s, the facility fell into a period of decay and decline. Ownership transferred to the city of New York in 1981, and the monumental task of restoring the structure for modern industrial use began in earnest when the NYC Economic Development Corporation stepped in to manage the building. The job was split into discrete stages, tackling one section of the massive complex at a time. 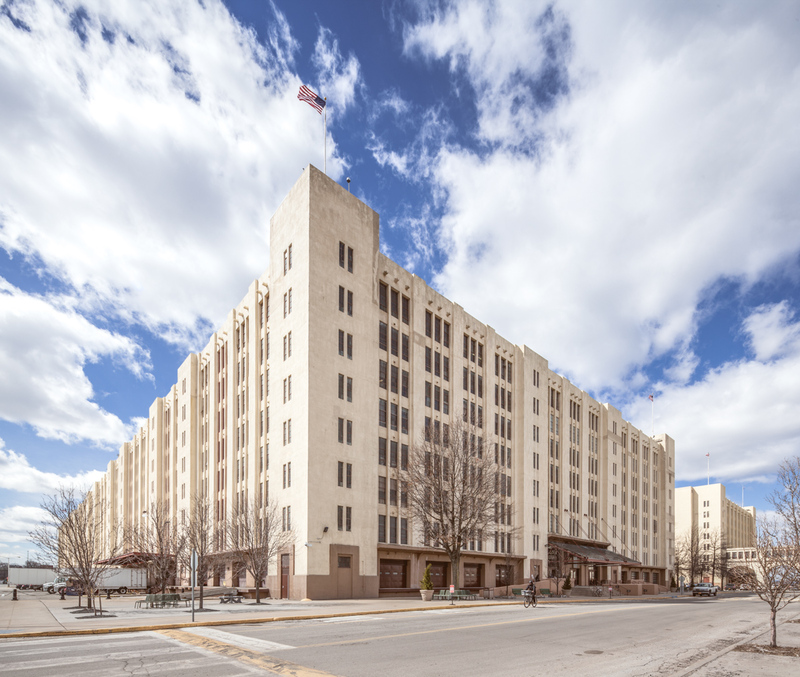 An upcoming renovation project dubbed “Phase 5” will complete the restoration of the two largest structures by revitalizing the last 500,000 sq ft of Building A, thanks to a $100 million dollar grant from the De Blasio administration announced last May. 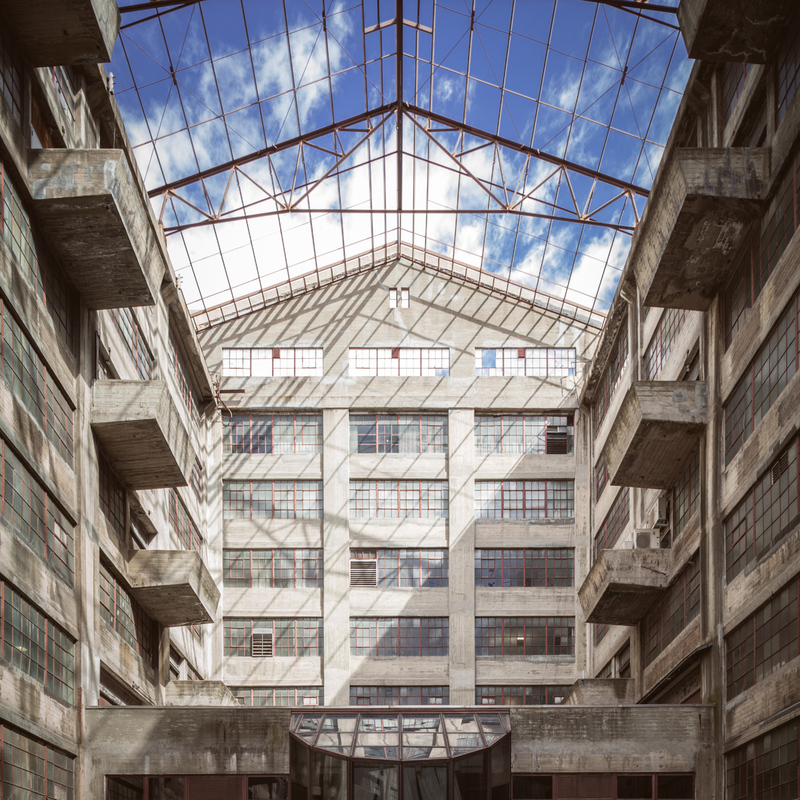 Today the leasable space boasts a 99% occupancy rate, with a diverse list of tenants including furniture builders, jewelry makers, and chocolatiers. If you’re lucky enough to pay a visit, the highlight of the trip is Building B’s jaw-dropping atrium. (It’s generally closed to the public, but Turnstile Tours and Untapped Cities offer regular guided tours.) Freight cars would pull directly into the building and unload supplies with a five ton moveable crane that traveled the atrium from end to end, spanning the length of three football fields. Now the area serves as a walkway for tenants, and loading docks have been repurposed as balconies and container gardens. Recently, the location has been wildly popular for film and photo shoots, which is no surprise. It’s one of the most remarkable interiors in all of New York City. 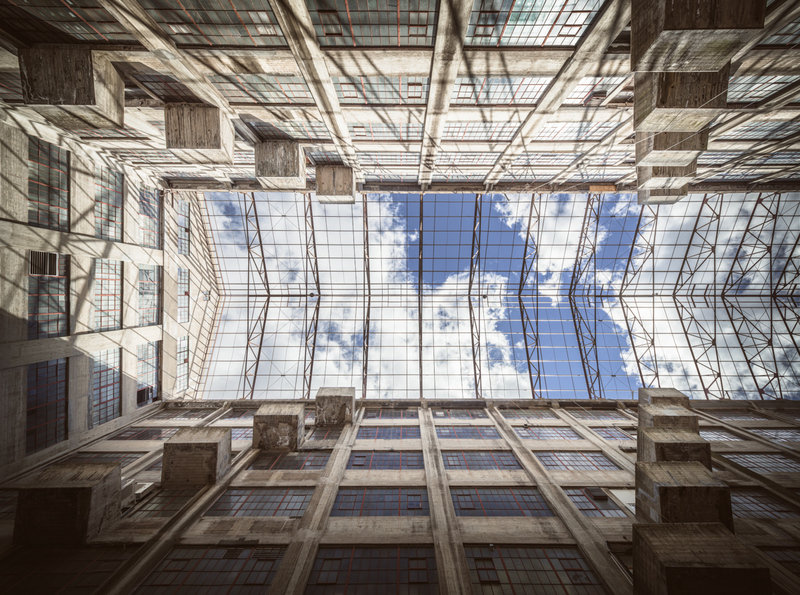 The Brooklyn Army Terminal Atrium. Loading platforms were staggered to allow the crane to access each level. Vintage LIRR trains marooned on the tracks are just for show. Platforms and railroad tracks run the length of the atrium. A glass ceiling was removed in the 1980s due to the high cost of maintenance. Afternoon light penetrates the west wall of the atrium. Book stuff is starting to wind down, but I do have a couple events on the horizon for anyone interested in attending. As always, you can pick up a signed copy directly through me at this website, it’s the best way to support what I do. Mid-Manhattan Library, May 7th, 6:30-8:00, Free!